Mr. Coelho’s books are very popular in Russia. 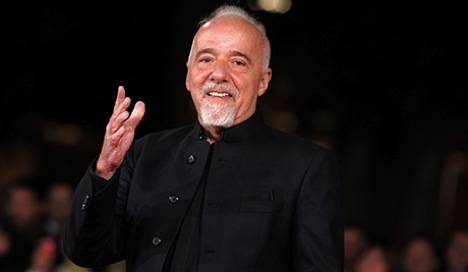 For many Russians, Paulo Coelho is a lot more than just a writer. They perceive him as an enlightened guru, a teacher of life. Russians first got acquainted with Paulo Coelho’s work in 1996. The book was “The Alchemist”, which is probably Mr. Coelho’s most famous novel. Then, his other books were translated into Russian – “Veronica Decides to Die”, “The Fifth Mountain”, “The Manual of the Warrior of Light”, “The Devil and Miss Prym,” “By the River Piedra I Sat Down and Wept”, “Eleven Minutes” and others. The peak of Paulo Coelho’s popularity in Russia came somewhere around 2005. However, besides many admirers, the writer has many critics as well. By now, the AST publishing house has published 14 novels by Paulo Coelho – mainly, his best-known ones. The latest release was a Russian translation of his novel “Aleph”, published this spring. Next spring, AST is planning to publish his “Manuscript found in Accra”, a novel that was finished by the author only about a month or two ago, in June. Paulo Coelho’s has come to Russia several times. In 2006, he crossed the distance from Moscow to the Far Eastern city of Vladivostok by train. The railway from Moscow to Vladivostok, known as the Trans-Siberian, is the world’s longest railway – over 9,000 kms long. Mr. Coelho says that Siberia impressed him like nothing else.